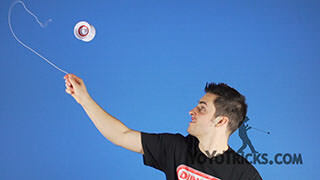 Learn how to do the Offstring Trick Emergency Cookies. 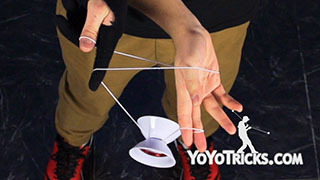 So for this trick you are going to want to start by grinding the yoyo on your finger on your throwhand, bringing the yoyo around your head, and into a bridge bind. 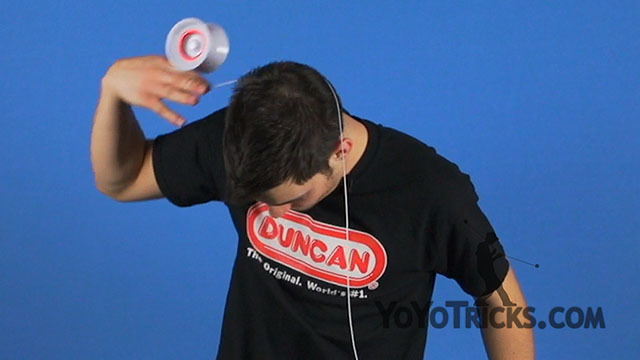 If you are having trouble grinding the yoyo around your head, you are going to want to angle your hand down just like in a basic offstring finger grind. 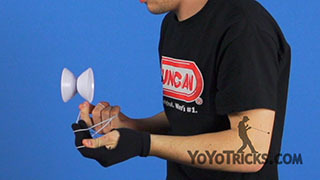 Also you are going to want to push your hand across your body to the opposite side. 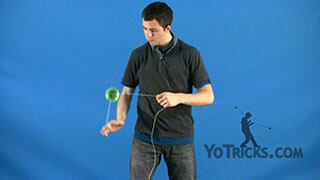 This will help control the yoyo as you bring it over your head and into the bridge bind. 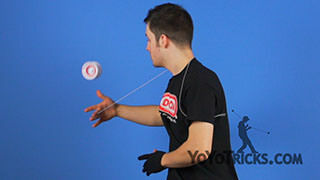 From the bridge bind, you are going to do a regen, landing in a forward mount throw on the outside of your wrist. 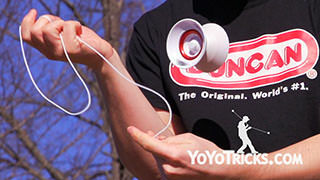 You are then going to finish the regen, and immediately go into a quick ring whip. 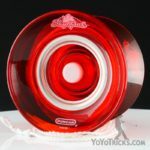 You are going to use the momentum of the yoyo to do a backburner, into a recapture, into another backburner. And finish with an open string bind. 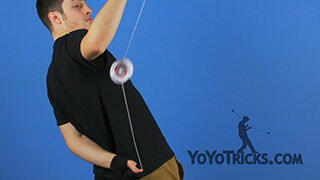 Something that will help you with the open string bind is that when you are doing the second backburner, the string gets stuck under your arm, so you are going to want to take your non-throwhand, pull the string out from under your arm to allow you to do the open string bind. And that is Emergency Cookies.